Certified roofing contractor serving Clifton, VA and surrounding areas with residential and commercial roof repair and replacement services. Are you looking for an experienced, certified roofing contractor for a new roof construction, or to replace or repair your residential roofing or commercial roofing in Clifton, VA? 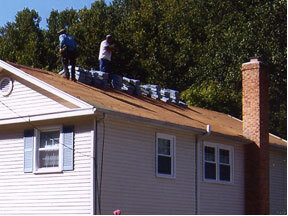 Reyes Roofing Contractors, LLC has been providing expert roofing services to the Clifton, VA community since 1991, and we are the top choice for a roofing company in your area. Click here to see some of our roofing projects. With more than 20 years of commercial and residential roofing experience, Reyes Roofing Contractors, LLC provides quality roofing systems for your home or business. Our labor warranty is guaranteed up to 10 years and we are certified as a CertainTeed SELECT Shingle Master, CertainTeed Silver Star Contractor, and Velux Five-Star Skylight Installer. We are a member of the National Roofing Contractors Association and the Virginia Association of Roofing Professionals. 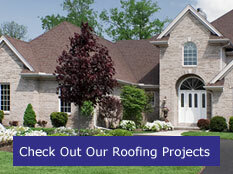 To receive a free, no-obligation roofing estimate, click here. Feel free to contact us at Reyes Roofing Contractors, LLC with your Clifton, VA roofing questions.